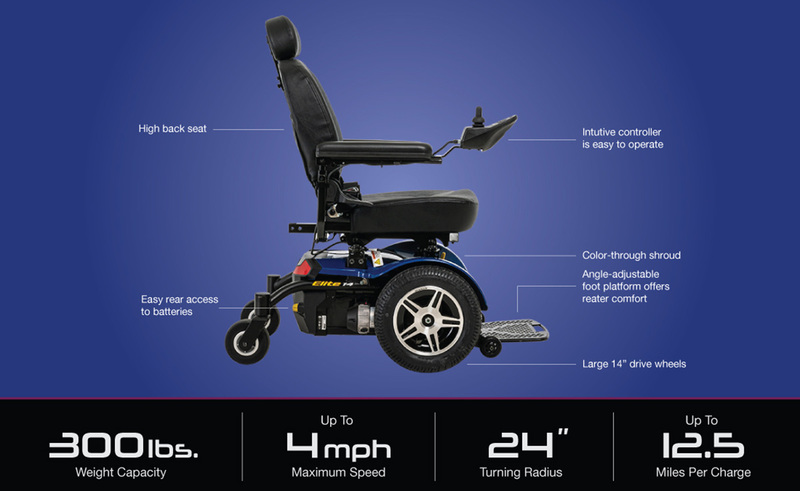 What makes the Jazzy Elite 14 Electric Wheelchair different? The Jazzy Elite 14 features 14 inch knobby tires that aid in even weight distribution and provide enough traction to help you overcome any obstacle. What are the Jazzy Elite 14’s strong points? Two-motor, front wheel drive system offers a smooth and powerful ride and a 300 lb. weight capacity. 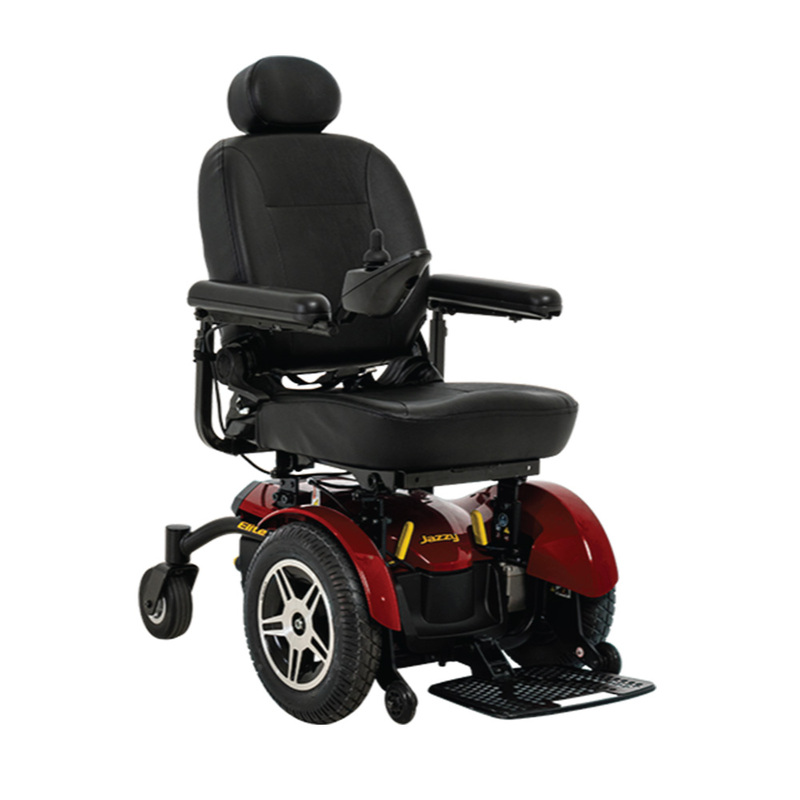 What else should I know about the Pride Jazzy Elite 14 Electric Wheelchair? This superior mobility device comes with 2 batteries that will allow you to travel almost 10 miles on a single charge.